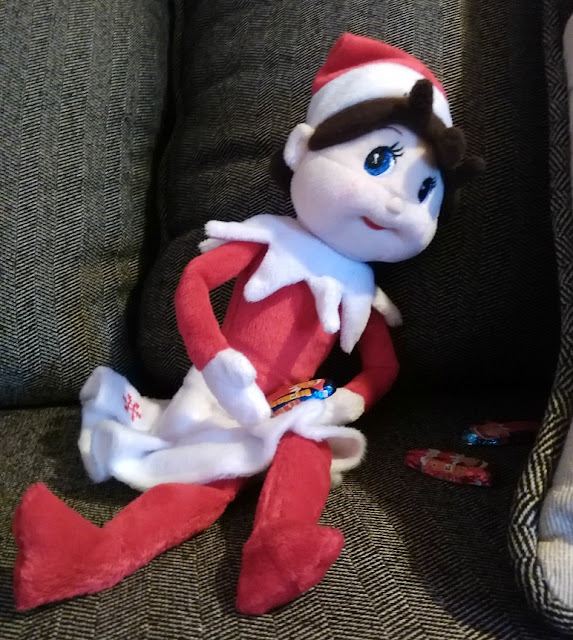 What's the Story behind Elf on the Shelf? By now, you've probably heard of Elf on the Shelf. You've probably watched a YouTube video, searched Pinterest for Elf on the Shelf ideas for moving, or shared funny Elf on the Shelf memes on Facebook. But, what's the real Elf on the Shelf story? How did it came to be so popular? We've got that and more fun games and ideas for Elf on the Shelf. Enjoy! 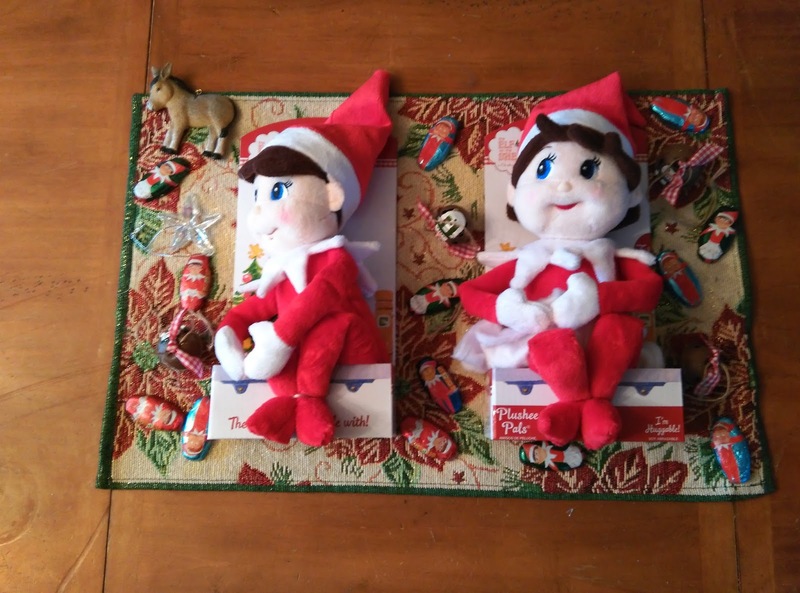 Before your kids wake up, the scout elf comes from the North Pole. Each morning, he finds a new place to play and get into mischief. It is a fun game of hide and seek, what is he up to this morning? 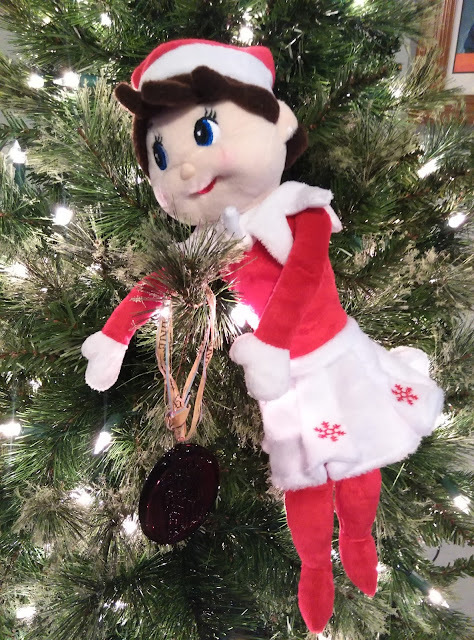 We got this adorable girl Elf on the Shelf from Oriental Trading. She's wearing a mini-skirt. 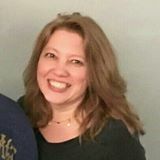 You can find her and all of these goodies on Oriental Trading's website. Not only, did she help us decorate the tree, she hid some chocolate treats around the house for us! 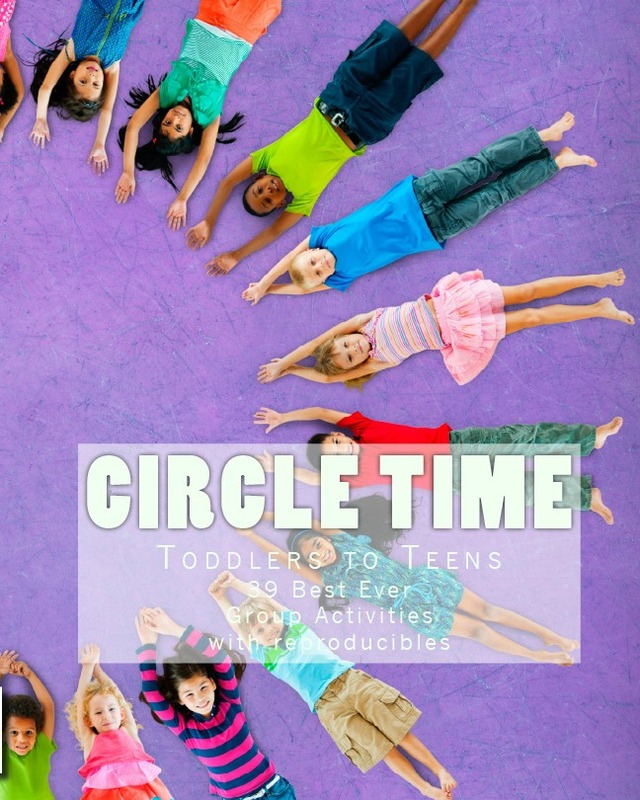 Keep scrolling for a cute free printable message to leave out for the kids. Print this message (4 x 6) out and leave it next to your elf. 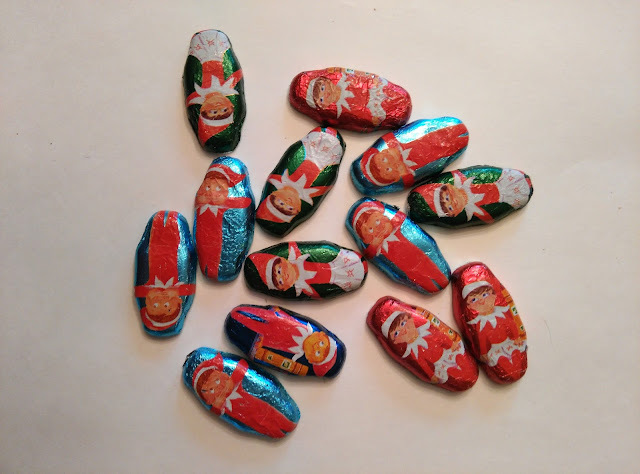 The kids will get a kick out of finding chocolate all over the house! That's better than an egg hunt. 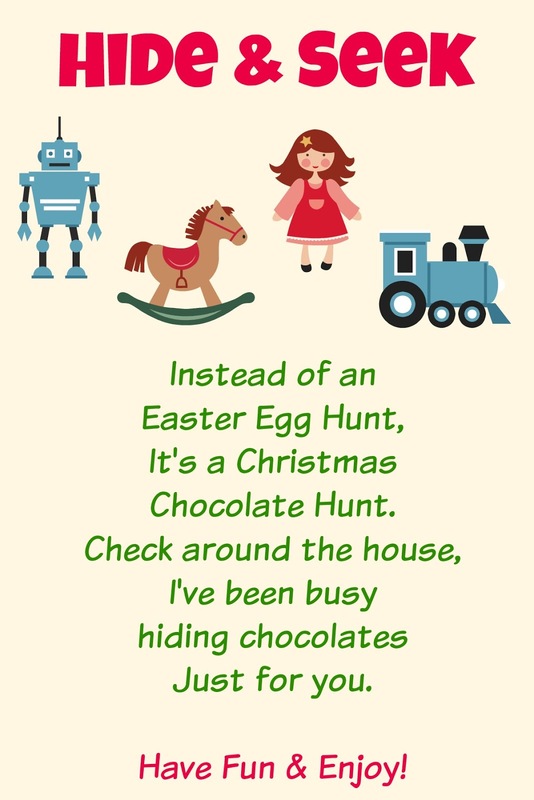 Don't forget, you have to hide the chocolate before they wake up. You had the elf's magic inside you all along! Want the real story of the Elf on the shelf? Read this: History of the Elf on the Shelf. First, you'll need to name your Elf, without a name, the elf won't do anything fun. The scout elf needs a name to find his magic. Find your elf's name with this elf name generator. 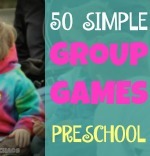 Be sure to print it out to use at Christmas parties- oh what fun! Check out this Elf on the Shelf caught moving on a company's security camera- creepy or cool? Take the Elf on the Shelf fun wherever you go with this Elf on the Shelf app. 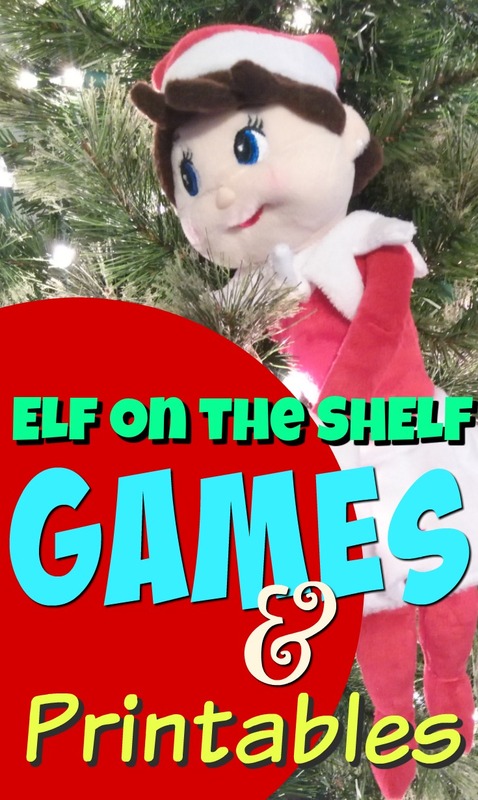 Teach the kids about Christmas commerce with this mobile friendly Elf on the Shelf game. We got in on the Elf game with our heirloom elves, see how to make easy elf clothes. 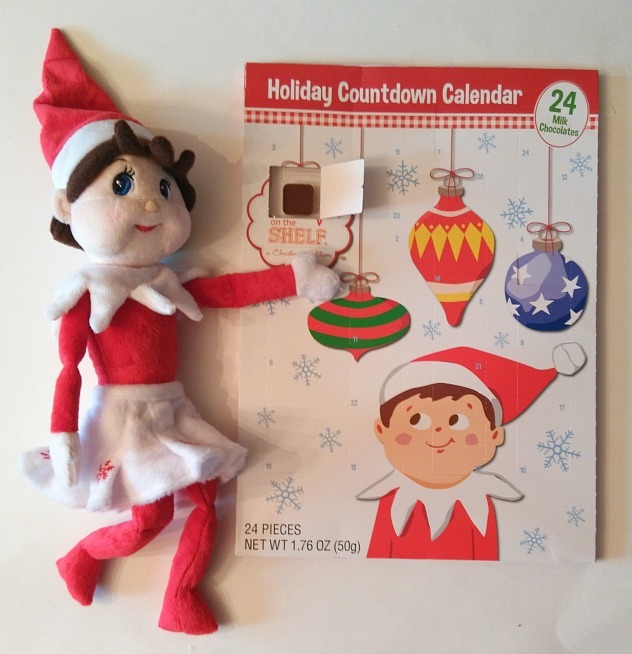 This year, we wanted to go all out with the elf game, so we started on Day 1 (December 1) with our Advent calendar from Oriental Trading. We are having so much fun! What are your elves up to? Let us know in the comments. Get a boy and a girl Elf on the Shelf from Oriental Trading.